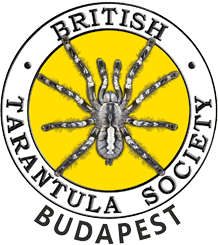 Andrew Smith is the former Chairman and one of the founding members of the British Tarantula Society. He has also been a Research Associate of the Natural History Museum London and Scientific Fellow of the London Zoological Society. Born in 1955, he has worked as an archaeological photographer, movie screen writer and for many years a school teacher – before becoming a science demonstrator. He is also a very enthusiastic amateur arachnologist, lecturer, writer, traveller and natural history film maker. Andrew Smith is author of the classic tarantula books, The Tarantula ID Guide, Baboon Spiders and Tarantulas of the USA & Mexico.